Boxed set of 216 unit cards covering the armies of the Peninsular War. The set contains all unit cards you would need to field any army from Britain, Spain or France (early or late-war), as well as all the minor allied states from both sides, such as the Portuguese, Poles, German and Italian units, and so on. Cards come with point-values already printed, to make army list building super fast and easy. Cards also represent all the leaders and subcommanders from these armies as well as the Spanish Guerrilla effects. 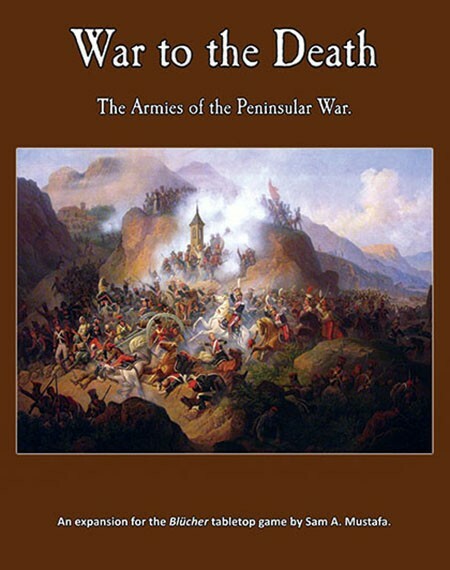 War to the Death is all you need to create Scharnhorst campaigns for the Peninsular theatre or for any game involving the British, Spanish, French, or their allied armies. You must have a copy of the Blücher rulebook in order to use this product.